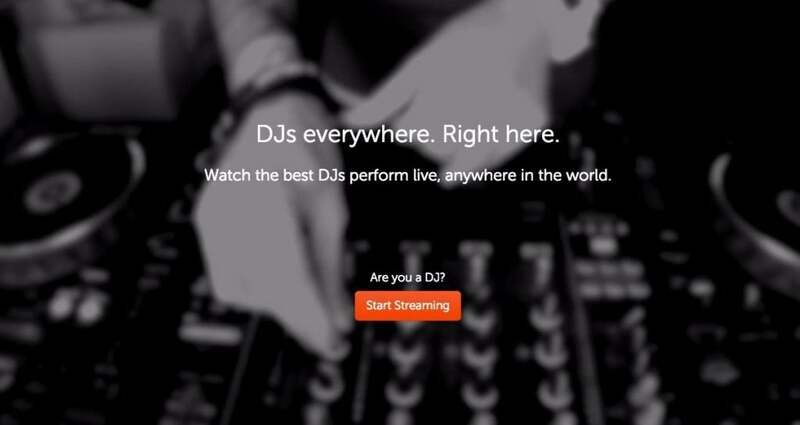 Describing itself as “Twitch for DJs,” a new British startup wants to do for dance music what Amazon’s subsidiary has done for gaming. Created by Wil Benton and Ben Bowler, Chew.tv broadcasts DJ sets to online audiences with cameras usually focused on the equipment. As witnessing DJing frequently is not a riveting experience for viewers (at least, the bare bone mixing aspect), Chew.tv places its emphasis on the video side of what is otherwise a music streaming platform as users are expected to share video streams alongside audio. In just a few months, Chew has registered 4,000 DJs who have created more than 7,000 broadcasts, with more than 13,000 hours of sets watched so far. “It’s estimated there are over a million professional DJs around the world, and millions more amateurs. And, of course, there are the hundreds of millions of dance music fans,” says Benton. “There are forums where you can discuss DJing and there are sites where you can upload your DJ mixes. But there’s no single online community that lets DJs support each other, teach each other, make a name for themselves – or even discover the next big thing. We’re changing that,” Benton continues. And, of course, in addition to the live audio and video streaming aspect of Chew, the startup has begun to build a “specialist dance music” library, positioning it to become a Spotify-esque platform. This means that Chew is also catering for “those who want to experience the mixes rather than create them,” says Benton. “Every time a DJ streams live on Chew, the performance is recorded and archived so anyone can enjoy it at a later date, anywhere at any time”. Thus Chew is a community, platform, and music library, prompting me to raise the thorny issue of licensing. Chew may not only changed the way we ingest the “mixtape” concept, essentially creating the category of video mix, but could also be the platform needed for the over saturated world of amateur DJs a chance to finally break through the crowd and gain fans in a wholly organic way. Let’s see what happens and, hopefully, licensing issues do not become TOO big of a factor.